MESA, Ariz. -- Greg Maddux is one of the greatest pitchers of all time. Turns out the Hall of Famer is a pretty good prankster, too. 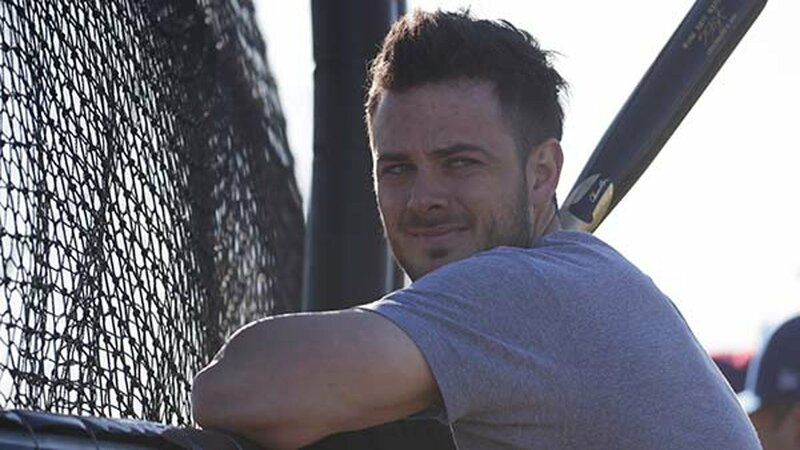 On Monday, Chicago Cubs third baseman Kris Bryant was in Las Vegas for a Red Bull shoot, and the reigning National League MVP thought the promotional media company only was going to film batting practice. But throughout the shoot, Bryant kept getting pestered by the "sound guy." Unbeknownst to the World Series champion, it was none other than Maddux in disguise, wearing a wig under his hat to go with fake bushy facial hair. "Try to hit it off the barrel," the four-time Cy Young winner said. "It'll sound really good." "That's the goal," Bryant said. When the batting practice pitcher said he had to leave, Maddux offered to throw to Bryant. He at first said no, but then agreed to give him a try. "This sound guy's got a good curve ball," Bryant said. "What is this? He's pretty good." The encounter came a year after Bryant pulled off a prank of his own, when he pretended to be a transfer player at an Arizona community college. "I was doing the pranking last year," Bryant said. "And I got pranked this year. By a Hall of Famer." The video at redbull.com/KBPrank is worth your time.